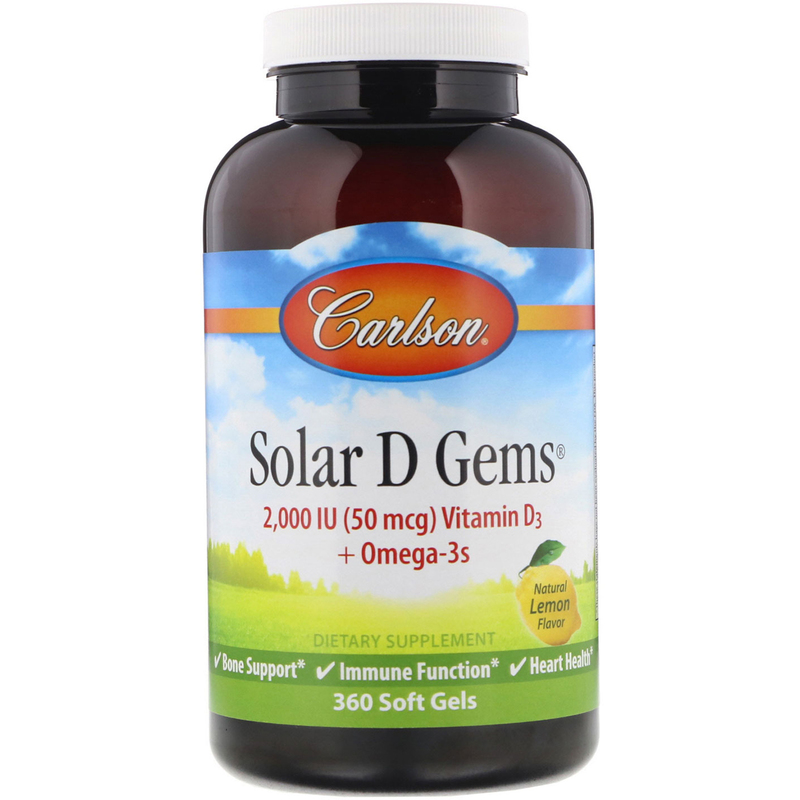 Solor D Gems blend vitamin D3 with the beneficial omega-3s EPA and DHA to promote strong bones, healthy immune system function, and heart health. Soft gel shell (beef gelatin, glycerin, water), natural lemon flavor. 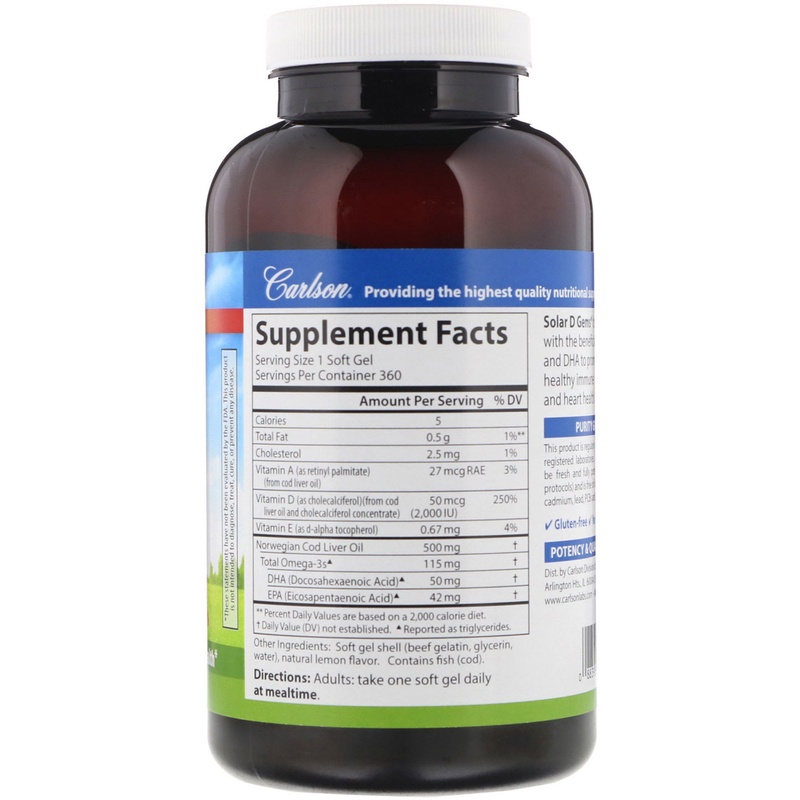 This product is regularly tested by an independent, FDA-registered laboratory. It has been determined to be fresh, fully potent (per AOCS international protocols) and is free of detrimental levels of mercury, cadmium, lead, PCBs and 28 other contaminants.